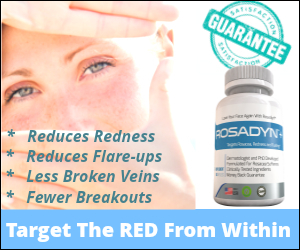 Rosacea sufferers are always on the lookout for new, promising anti-redness products and treatments. The problem with most anti-redness rosacea products is they are usually expensive and rarely deliver significant on their claims. However, recently, select over-the-counter products have been tested for redness reduction efficacy by Dermatologists in clinical settings. We put together a list of five top redness skin care products backed by clinical studies in order to give rosacea sufferers the best treatment options with clinically-proven effectiveness. This calming cream is excellent for rosacea skin as it incorporates key ingredients that strengthen fragile capillaries and calm inflamed skin. This cream also helps to block damaging enzymes that break down the skin called Matrix Metalloproteinases. Together they instantly help calm irritation – redness, dryness and discomfort – while helping to rebuild the skin’s natural defense mechanism. Immediately: 94% of subjects reported irritated skin was instantly calmed. In a clinical study, Erno Laszlo FX Cream demonstrated a significant decrease in facial redness and blotchiness within 12 weeks with up to a 75% decrease in the visual appearance of skin redness. A calming formula with triple strength Corallina Extract, an extremely potent constrictor of blood vessels that does not cause rebound dilation(redness), and effectively soothes inflammation at the same time and relieves facial burning, stinging, and itching due to environmental irritants, a change in diet or emotions. Powerful Antioxidants, Corallina Extract, Goji Berry Extract, Green Tea Extract, Golden Chamomile Extract, Specialized Licorice Extract, Lipid soluble Vitamin A, Lipid Soluble Vitamin E and , help protect and shield the skin from environmental damage and normalize hypersensitive skin. Replenishes lost moisture and keeps skin hydrated. 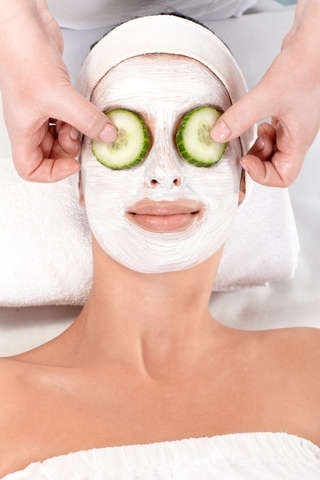 Immediately reduces redness and irritation. Helps avert future flare-ups and rosacea triggers. Note: If you have red skin and Rosacea this Erno Laszlo Redness product will help reduce the redness. Not only the red but it calms and soothes your skin. Upon application your skin will feel much better — no more hot red skin when you use the Redness line. Erno Laszlo Redness FX lotion for oily sensitive skin contains most of the same ingredients as the cream except they’ve added several active ingredients and silica that reduce rosacea oily skin and actively treat papules and blemishes. It will not treat pustules though. In a clinical study, Erno Laszlo FX Lotion demonstrated a significant decrease in facial redness and blotchiness within 12 weeks with up to a 71% decrease in the visual appearance of skin redness. 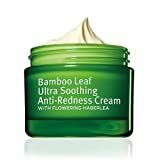 A calming formula with triple strength Corallina Extract (a potent constrictor of blood vessels without rebound dilation) that soothes inflammation and relieves facial burning, stinging, and itching due to environmental irritants, a change in diet or emotions. Note: The primary difference between the cream (dry skin types) and lotion (oily skin) formulation is that the lotion instantly calms the skin with cooling agents such as Gorgonian Extract to reduce redness, Bisabolol to soothe irritated skin, and Arnica Extract to reduce inflammation. The lotion also targets rosacea papules and blemishes with two anti-papule ingredients. Water, Cyclopentasiloxane, Cyclohexasiloxane, Cetearyl Alcohol, Dimethicone, Behenyl Alcohol, Behenoxy Dimethicone, Cetearyl Glucoside, Avena Sativa (Oat) Meal, Myristoyl Octapeptide-1, Myristoyl Octapeptide-2, 4-Ethoxybenzaldehyde, Hydroxyphenyl Propamidobenzoic Acid, 4-t-Butylcyclohexanol, Acetyl Carboxymethyl Cocoyl Glycine, Bisabolol, Beta Glucan, Palmitoyl Hydrolyzed Wheat Protein, Allantoin, Chamomilla Recutita (Matricaria) Flower Extract, Glycyrrhiza Glabra (Licorice) Root Extract, Camilla Sinensis Extract, Aloe Barbadensis Leaf Juice, Sodium Hyaluronate, Tocopheryl Acetate, Pentylene Glycol, Potassium Cetyl Phosphate, Behentrimonium Methosulfate, Butylene Glycol, Oleyl Alcohol, Cholecalciferol, Caprylyl Glycol, Phenoxyethanol, Fragrance. Dermatol Surg. 2005 Jul;31(7 Pt 2):881-5; discussion 885. Efficacy of 1% 4-ethoxybenzaldehyde in reducing facial erythema. Author information: (1)Department of Dermatology, Wake Forest University School of Medicine, Winston-Salem, NC, USA. BACKGROUND: Facial erythema is a common postsurgical and dermatologic problem. It is commonly the result of dermal inflammation arising from either a facial surgical procedure, such as laser resurfacing, dermabrasion, or a face peel, or from an underlying dermatologic condition, such as rosacea. Facial erythema is difficult for the dermatologist to treat in both settings because topical corticosteroids cannot be used long term on the thin facial skin and anti-inflammatory oral or topical antibiotics have associated side effects. OBJECTIVE: The goal of this pilot study was to evaluate the anti-inflammatory effect of 1% 4-ethoxybenzaldehyde in a rosacea model of facial erythema. METHODS: Thirty subjects with mild to moderate stable rosacea were enrolled in this 4-week, double-blind, vehicle-controlled study. Photographs, investigator assessment, and subject assessment were the efficacy criteria. RESULTS: There was a statistically significant reduction in facial erythema (p<.01) in those subjects who used the active for 4 weeks, as well as a statistically significant improvement in uneven skin tone (p<.01) and the overall severity of the disease (p<.01). There was no statistically significant difference in any of these three indices in the vehicle-treated group. CONCLUSION: The results suggest that benzaldehyde-derived anti-inflammatory agents may be useful in reducing facial erythema in a rosacea model. J Drugs Dermatol. 2010 Jun;9(6):647-50. Long-term efficacy and safety of topical PRK 124 (0.125%) lotion (Pyratine-XR) in the treatment of mild-to-moderate rosacea. Tremaine AM(1), Ortiz A, Elkeeb L, Tran M, Weinstein G.
Author information: (1)Department of Dermatology, University of California, Irvine, Irvine, CA 92697, USA. BACKGROUND: Many patients with rosacea cannot tolerate extended treatment periods with topical agents because their skin sensitivity is often increased. OBJECTIVE: To determine the long-term efficacy and tolerability of a new moisturizing lotion for improving the signs and symptoms of mild-to-moderate rosacea. METHODS: In a 48-week, open-label study, a moisturizing lotion containing furfuryl tetrahydropyranyladenine as PRK-124 (0.125%, Pyratine-XR, Senetek PLC, Napa, CA) was applied twice daily by 18 subjects with mild-to-moderate rosacea. Clinical improvements were assessed by the treating physician. Skin barrier function was measured by transepidermal water loss after treatment. Tolerability and cosmetic outcome were evaluated by subjects. RESULTS: Subjects experienced a mean 44 percent reduction in erythema severity and a mean 89 percent reduction in inflammatory lesion count at week 48. Reductions were significant (P < 0.05) in both erythema and lesions at weeks 24, 36 and 48. Statistically significant (P < or = 0.05) improvements in telangiectasias, transepidermal water loss and dryness were noted. Overall clinical improvement was observed in 81 percent of subjects and the investigator’s global assessment steadily improved throughout the study. Treatments were well-tolerated and cosmetically acceptable. Treatment-induced skin irritation was not observed. CONCLUSION: The new moisturizing lotion containing furfuryl tetrahydropyranyladenine as PRK 124 is efficacious, does not irritate skin, reduces erythema and is well tolerated for at least 48 weeks. Rosadyn put together an entire website section dedicated solely to rosacea skin care which includes rosacea-friendly cleansers, moisturizers, skin protectors, anti-redness products and anti-acne products. Please visit our Over-the-Counter Rosacea Skin Care List for more information.